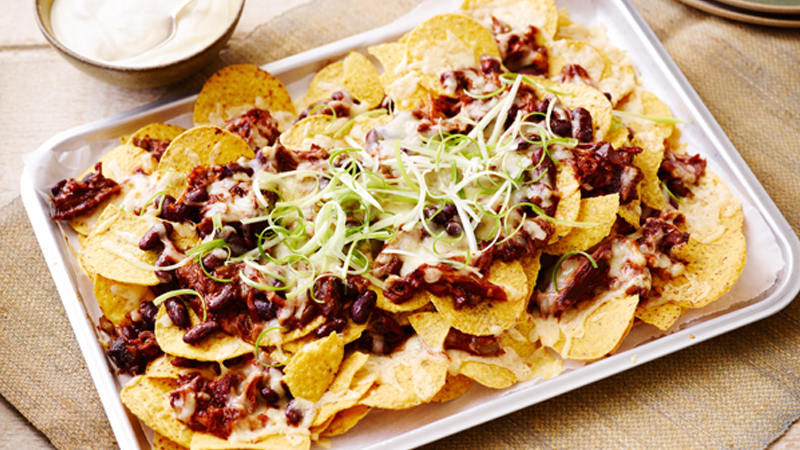 Use a pack of BBQ pulled pork to make this delicious nacho platter – it’s great for a TV dinner or casual family supper. 1. Preheat the oven to 200ºC (180ºC for fan assisted ovens), gas mark 6. Line a large baking sheet with baking paper. 2. Cook the BBQ pulled pork in a shallow roasting following the packaging directions. Cool for 10 minutes then shred the meat with 2 forks and mix with the pouch of BBQ sauce (from the pack). Transfer to a bowl and stir in the kidney beans. 3. 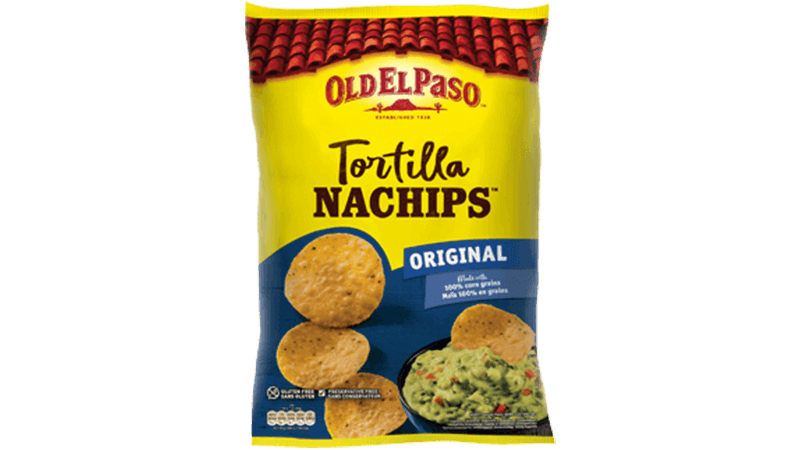 Spread half the Nachips™ over the baking sheet and top with half the pork mixture. Scatter over half of the jalapeños and cheese. Repeat the layers once more. 4. Bake for 8-10 minutes until piping hot and the cheese has melted. Serve immediately, topped with shredded spring onions with soured cream on the side. • To microwave instead of bake, layer the nachos on a microwavable plate. Microwave uncovered on Medium (50%) 2 to 3 minutes or until cheese is melted. You may need to do this in two batches. 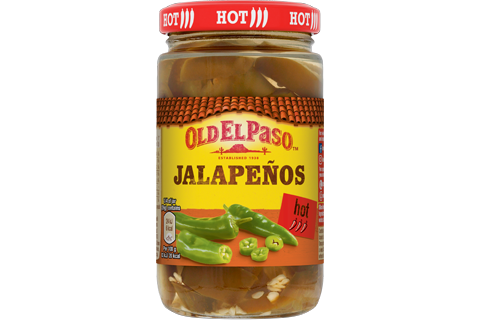 • For a milder flavor, replace the jalapeños with chopped spring onions or green pepper.